It is truly difficult to come into America, the new film by conservative author Dinesh D'Souza, without prejudice for or against the subject matter. In short, D'Souza presents a case that America (the nation) is indeed an exceptional one versus the idea that America (the nation) is one built on greed, imperialism, and brutality. Those who hold that America (the nation) is not a source for good (i.e. Iraq and earlier Vietnam, support for Israel over the Arab Palestinians, income inequality and its outpouring of Occupy Wall Street, slavery, the Trail of Tears, et. al.) America (the film) may enrage them. 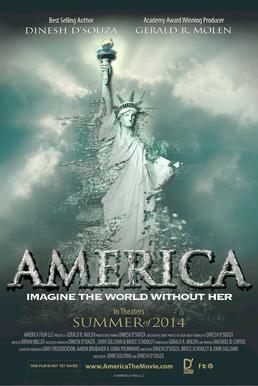 For those who think America (the nation) is not the source of all evil, America (the film) will be as manna from Heaven. An honest reviewer will do ones best to keep his/her own views on the subject from influencing what he/she thinks of how effective the film itself is. America presents its case for American exceptionalism and the importance of America throughout the world as a force for good using interviews, historical reenactments, and archival footage, all which serve the film well when it stays within its subject. In the times that it does wander off (linking future President Hillary Clinton to anti-American radicals) America still makes a case for its arguments, even if they appear more as tangents than the central point. D'Souza first goes over the lists of indictments against the United States: theft of property from the Native Americans (along with genocide), from the Mexicans, from African slaves, and from the world itself, along with theft through the American capitalist system which takes other's 'fair share' while at the same time having those at the One Percent not pay 'their fair share'. He first visits Americans who have this worldview, such as the ironically-named Charmaine Whiteface of the Sioux nation who equates Mount Rushmore with having Hitler staring down on her land (it being a symbol of oppression) and a Dr. Trujillo, who believes that if the 'Tierras Perdidas' or 'Lost Lands' (such as California to New Mexico and up to Colorado) had stayed in Mexico, then that nation would have been a much better or richer nation with all the resources within it. If I'm not mistaken, Dr. Trujillo also dreams of having the American Southwest be reannexed to Mexico. There are also brief interviews with Dr. Michael Eric Dyson and Noam Chomsky, both fierce critics of how both America came to be and how America is today. D'Souza's contention is that America is seen, particularly by some Americans, as a source of imperialism, oppression, and greed, thanks in large part to Howard Zinn's A People's History of the United States. As the architect of what D'Souza calls "American Shame" (who has found ardent disciples in people like Matt Damon and Ben Affleck, who gave it a shout-out in Good Will Hunting), D'Souza holds that far from being an accurate record of history, Zinn's book has the purpose not of chronicling American history, but of trashing America. He then turns to another chronicler of America, Alexis De Tocqueville's Democracy in America (which has re-enactments of the French nobleman's American tour). Using De Tocqueville's words, D'Souza paints another portrait of America from De Tocqueville's impressions, one that while not shying away from the negative (such as De Tocqueville's conclusion that slavery is injurious to both slave and master) the impression that he got of America was of a much greater and more positive nation. D'Souza also throws in a few things that give a different portrait of history; some of these historic tidbits are (or should be) well-known, such as the story of Madam C.J. Walker, daughter of slaves born in poverty who became the first female African-American millionairess through a line of beauty products aimed at the black market (and whom I think would make for a fascinating biopic). Some are surprising, such as that of William Ellison, a black man who not only owned slaves but who actively supported the Confederacy. Point by point D'Souza takes the arguments against America and refutes them. We finally get to Saul Alinsky, whose own hard-left anti-American views shaped D'Souza argues, not just Barack Obama, current President of the United States, but also the next President of the United States, Hillary Clinton. Seriously, why bother having an election? She's going to win, by a landslide. In the end, Dinesh D'Souza argues, far from being the new Evil Empire (as another interviewee, Ward Churchill, believes), America was good, is good, and continues to be good. The biggest problem with America is that one may find it difficult if not impossible to see it without one being blinded by one's own viewpoints. People who loath someone like Ted Cruz (who also appears in the film discuss the reasons for the Mexican-American War) will be fiercely opposed to anything in America. Those who see America as that imperialist, oppressive nation that invades countries and uses far too much while taking other's 'fair share' both within and without its borders will I think not see the forest for the trees. Rather than examine whether D'Souza can mount an argument for American exceptionalism those who disagree with him will instead insist he is wrong merely because they disagree with his worldview. Looking at the film itself, I would say D'Souza makes most of his cases. Certainly the idea of African-Americans holding slaves themselves was something A People's History of the United States doesn't cover, or the fact that Native Americans were decimated not primarily due to being hunted down but because of disease. D'Souza doesn't act as a cheerleader for what happened to Native Americans, but he does point out that while the Sioux have been offered compensation in the form of billions of dollars for the Badlands, they have refused, instead demanding the return of the land (which just ain't gonna happen). I also want to admit a personal bias myself. As someone of Mexican descent, I have no wish, desire, or hope to have Texas 'restored' or 'returned' to Mexico. My mother left Mexico to the United States not because of America's evil or determination to oppress her but because she knew she had no future in Mexico (my father, I should point out, is a native-born American). What America fails to do is to follow up on some arguments. Dr. Trujillo's belief, for example, that Mexico would have become wealthy if it had managed to hold on to California et. al. is predicated on the notion that the Mexican government would have been like him: benevolent, forward-thinking, and progressive. However, given that Mexico has millions thanks to Pemex, the nationally-owned oil company, D'Souza never follows up by pointing out that despite the wealth in resources Mexico does possess, the nation is a mess. My own view is that were California, Nevada, and even Texas still within the Mexican state, far from Dr. Trujillo's great vision of a powerful and rich Mexico, the country would be even more of a wreck than it already is. 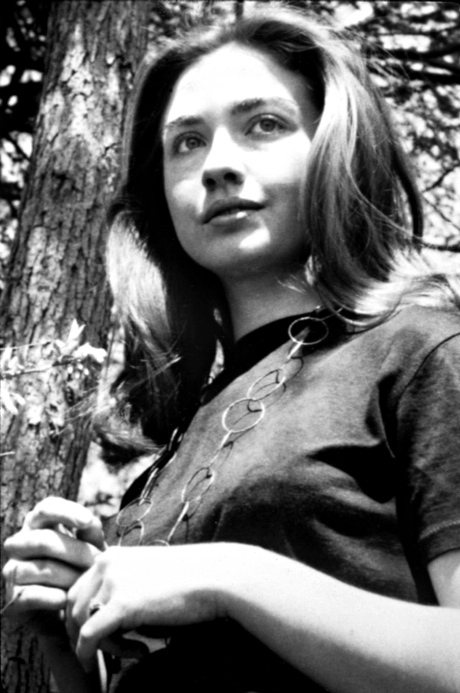 America also fails to hold up in its view that future President Clinton II would be some sort of left-wing radical (although in the film's defense, the archival footage of Alinsky is pretty creepy). This I would argue is more D'Souza's opposition to both Barry and Hillary rather than a solid case against the current and future President as Alinsky disciples determined to follow through on their Master's vision of destroying America from within. Apart from that I think America is a film that those who hold to the idea that 'America is Good' and 'America is Evil' should watch. It is well-made to support D'Souza's viewpoints, and whether one agrees with them or not is not finally the issue. I am a firm supporter of having the discussion, of having the debate. Is Dinesh D'Souza right, or merely right-wing? One cannot dismiss his contentions out of hand merely because one disagrees with them. Instead, they should be examined, matched against what the record books say, and taken from there. Has America succeeded because of its industry or because of conquest? I welcome the debate, and any true American will welcome it too.